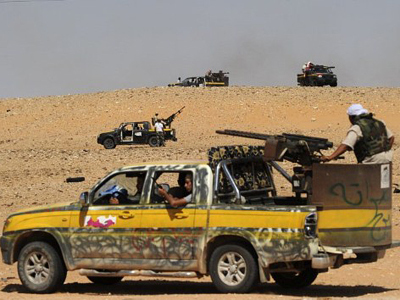 Rebel troops are continuing their attacks on the cities of Bani Walid and Sirte, which are among the few remaining strongholds openly defying the new authorities in Libya. The Friday attack on Bani Walid, a desert city some 180 km southeast of Tripoli, which is the home of one of Libya’s strongest Bedouin tribes, started with massive artillery shelling. Commander Abdullah Abu-Asara told The Associated Press that despite heavy resistance, his men were only a fraction over two kilometers from the very heart of Bani Walid. The main obstacle in their way is an elongated valley full of snipers, he explained. Also on Friday, troops loyal to the National Transitional Council (NTC) resumed their attack on Sirte, Muammar Gaddafi’s hometown. On Thursday, they claimed to be close to taking control of the town, but were repelled by defenders of the city. Both cities have been under siege for over two weeks, and are still holding out against rebel forces. 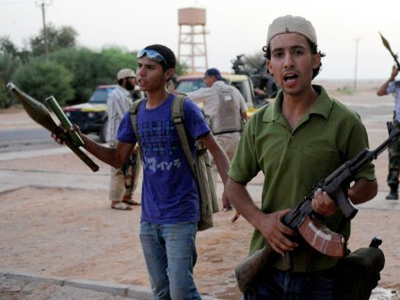 A mass uprising in Libya started in mid-February. A NATO-led bombing campaign helped the rebels hold positions against Muammar Gaddafi’s troops for several months. A stalemate was broken in August when the capital, Tripoli, was captured during a surprise night raid. Colonel Gaddafi is now in hiding and has pledged to wage a guerrilla war on the NTC and NATO troops. Several attacks in Tripoli and at rebel-controlled oil facilities have been reported over the past week. 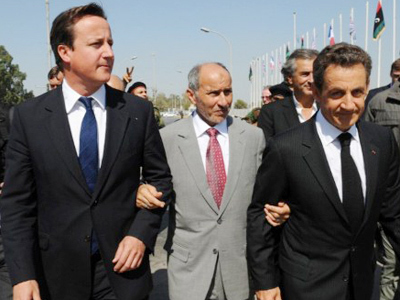 The series of assaults follow the visit to Libya of UK Prime Minister David Cameron and French President Nikolas Sarkozy. 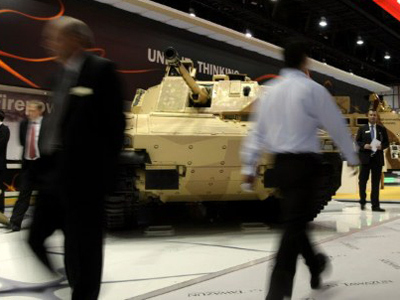 The two European leaders pledged support to the NTC and said NATO would continue its operation in Libya for as long as is needed. NATO has conducted over 8,500 strikes on the country since late March. On Friday, Turkish Prime Minster Recep Erdogan arrived in Tripoli to meet with NTC members. He is currently touring Northern African nations.